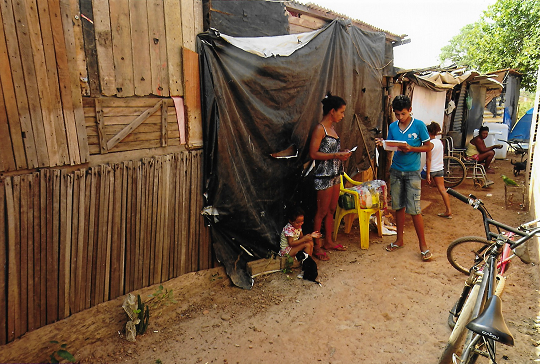 Currently in São Miguel do Araguaia we provide monthly food parcels for 25 of the poorest families in the town. To the left is an example of a typical house for the families we help in São Miguel do Araguaia. These homes are constructed with any wood they can find along with plastic sheeting. Children in Hunger is a UK registered charity no 1077628.